At Temple Israel, we believe life-long learning enhances every aspect of Jewish life. The more we understand about our sacred texts, traditions, holy days and festivals, historical and contemporary scholarship, arts and literature, the better we will be able to make informed choices about our own practices. We encourage you to participate in our Adult Education programs. Click below to learn about current and upcoming classes at Temple Israel. If you have suggestions about future classes, please contact the Temple Office. Enhance your Shabbat experience by studying the Parashah (Torah portion) of the week with Rabbi Debra Dressler and friends. Join in an exploration of the text as we ask questions, discuss historical and contemporary interpretations, and debate its relevance for our lives. Meeting time for Shabbat Torah Study varies. Please check the Worship – Shabbat page for the current schedule. Author Monda Halpern will join us. We meet at 2:00 on Saturday afternoons. As always, everyone is invited to join in the discussion. If you wish, bring along a snack to share for tea time. Everyone is welcome, whether or not you have attended previous sessions. and whether or not you have read the book. Bring your suggestions for future good reads. Lunch & Learn meets Tuesdays noon to 1pm at Temple Israel. Bring your lunch, if you wish. Tea, coffee, and water will be available. Bring your lunch and join Rabbi Dressler Tuesdays at noon, exploring current events as well as classic Jewish topics. If you are likely to attend L&L, please email the Temple Office so we can put you on the list to receive updates and closing information. 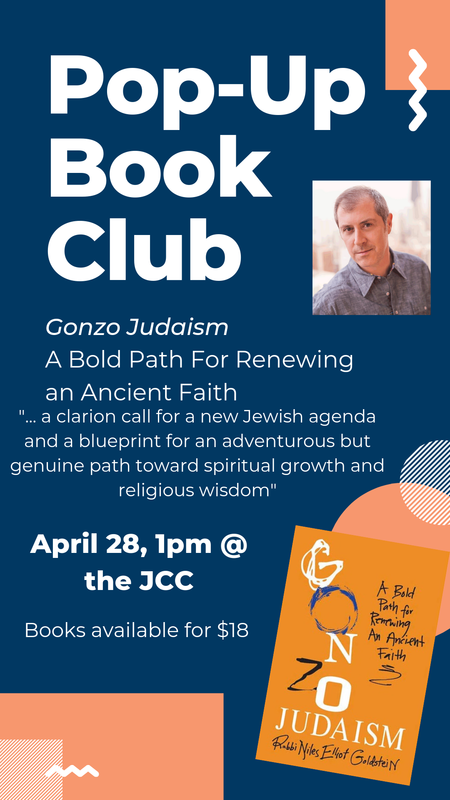 As Reform Judaism is constantly evolving, we continue to seek a faith that is in harmony with our beliefs and experiences. Click on the image for more information about the book. New for this year, we will be using tablet eReaders for many of our sessions. It is “green,” and allows participants to adjust the display to meet their needs. Most often we will be reading an essay or chapter a week. We will have 10 tablets available, but participants can buy their own eBook, borrow from the library, or bring hard copies if they wish. to or at the beginning of this course of study. Our Jewish Information Class is intended for anyone wishing to learn more about Judaism. This class is a prerequisite for all conversion candidates, but open to anyone (Jewish or not) who wants to broaden their Jewish knowledge base. Please contact the Temple Office prior to the beginning of classes. Questions? Please contact the Temple Israel office – all are welcome, even if you’ve missed the first class.. Note: this is not a conversational Hebrew class but instead will focus on either or both of the Hebrew arising in the prayer services or biblical Hebrew. Additional 2019 Classes will be held on same dates and times into the New Year. Talmud With Training Wheels – new class forming soon. This will be a 6-8 week introduction to the world and text of the Talmud. If you are interested in this class please contact Temple Office (519-858-4400/office@templeisraellondon.ca). Please note: the class material will be in English, Hebrew knowledge is not required. JEM will return in the autumn of 2019 with more edifying, stimulating, and entertaining presentations. 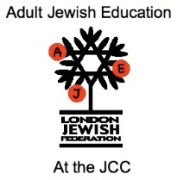 JEM is co-sponsored by the Martin Bass Fund for Human Resources of Or Shalom, Temple Israel, Jewish London, and B’nai Brith Men, with additional support from The Lamplighter Inn & Conference Centre, the Selma Rothfeld Family Endowment Fund of the London Jewish Community Foundation, and numerous individual donors.